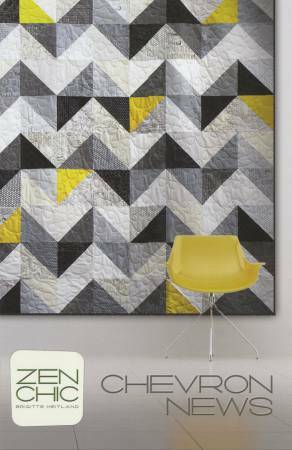 Chevron News by Zen Chic CNQP. Finished Quilt Size 82" x 82". Layer Cake Pattern. graphic statement using layer cake precuts. This bed-sized quilt is an easy weekend project.